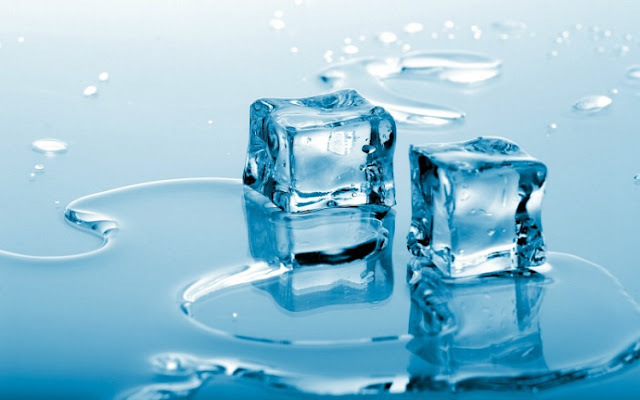 5 Amazing Beauty Benefits of Ice Cubes! 1) Ice cubes defeat acne redness temporarily- Make you acne bumps look less red and less bumpy by just rubbing an ice cube on it. Ice cubes helps in good blood circulation and makes acne look somewhat flat! Forget popping that acne and instead, use an ice cube! This actually works, but the effects are temporary. 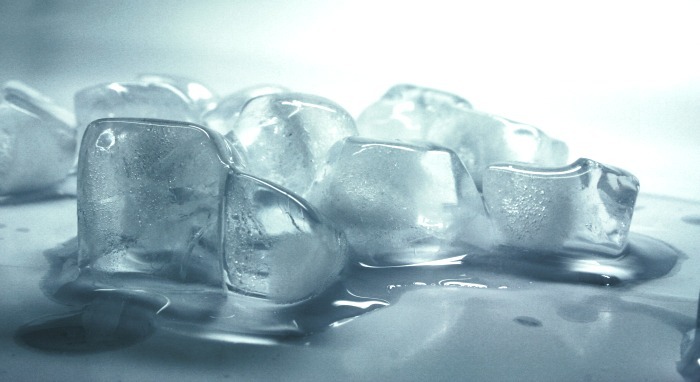 2) Get tans reduced- Rub an ice cube on your face to soothe the skin and reduce the suntan. 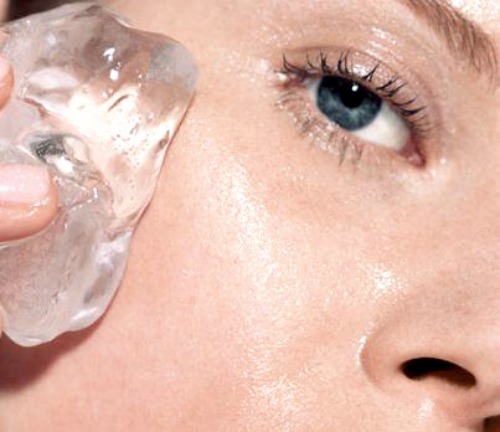 Get temporary relief from sunburns by just rubbing an ice cube all over your face! 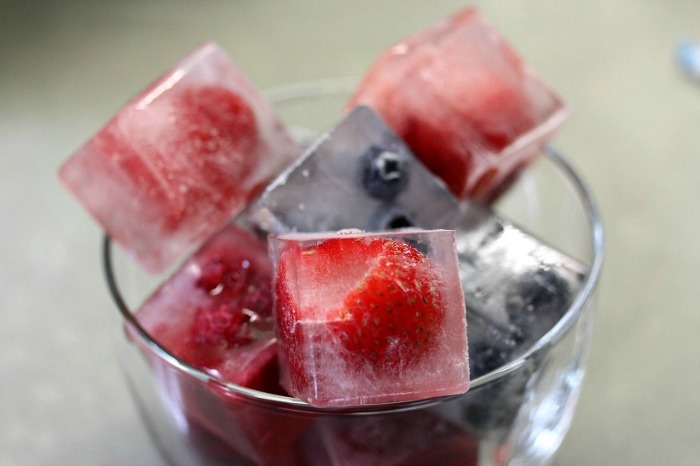 4) Ice Fruit facials- Add some fresh fruit juice to that Ice tray and get ready to experience a mini- fruit facial! Just rub some fruit ice cube on your face to get 3 benefits- tightened pores, glowing skin and minimized appearance of acne! You can ALSO add fresh green tea water to the ice tray and get a mini- green tea facial! 5) Reduces Dark Circles too- Mix Rose water and fresh Cucumber juice and freeze it! Apply it on your dark circles every morning and night and see the magical effects of the ice cube! It does help in reducing dark circles- well, quite a bit! P.S. 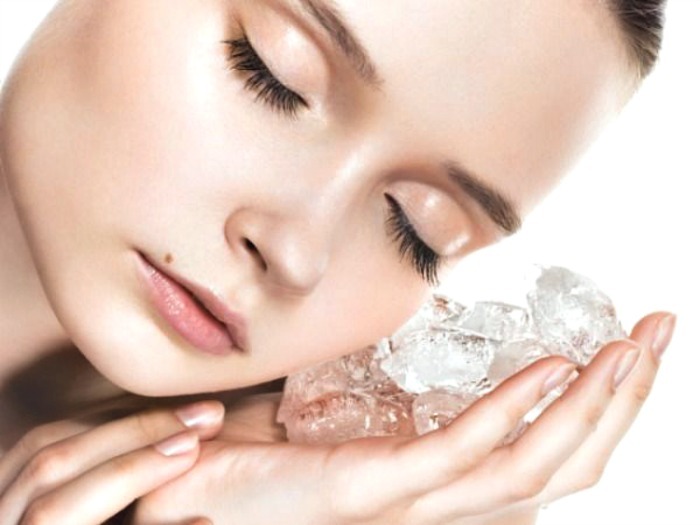 :- Do not keep Ice on your skin for a long time as it may damage it. Recommended time is 4 seconds. Very Useful post dear, Loved it.